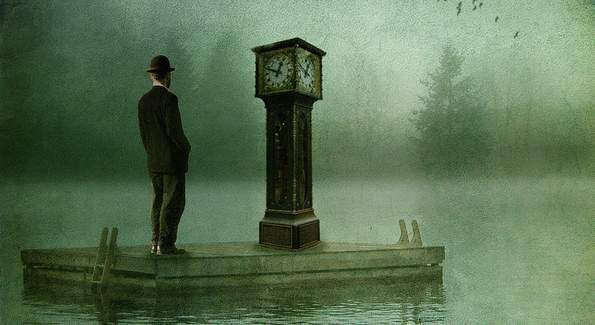 Time had slowed down completely and he could see the seconds trickle down the glass surface of his wall clock like little drops of mercury. It could have been minutes or maybe years, there was no way to tell. To him it made no difference. Time was his only friend, his only muse. He could see her flow through his fingers every time the second-hand on the clock challenged equilibrium, taking away little pieces of him. But he didn’t care. Sometimes he could swear they were one, time and him, and in those moments there was no other truth that existed for either of them. The stillness that lingered was their universe and in that moment they were invincible. But things were different today. He could not feel her anymore. Piece by piece, she had consumed him and what was left of him were just a handful of breaths. But he still did not care. He had lived.